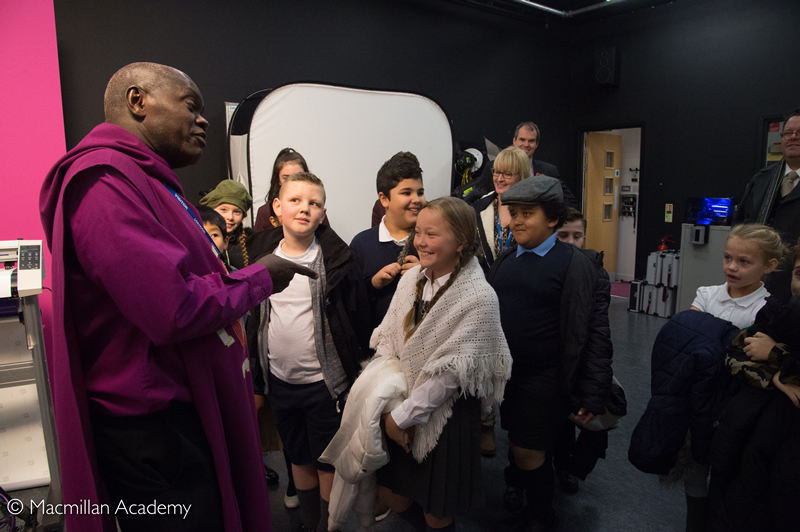 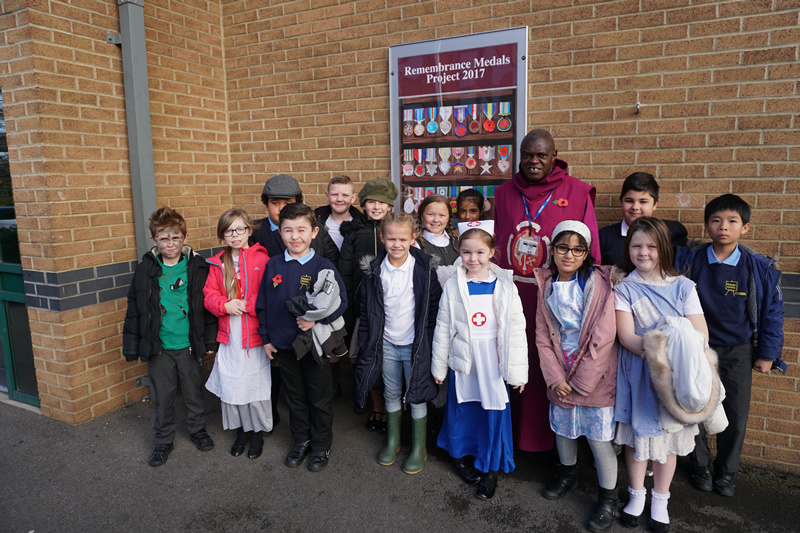 Students from Macmillan Academy and Archibald Primary School shared their remembrance events with the Archbishop of York on Friday 10th November. 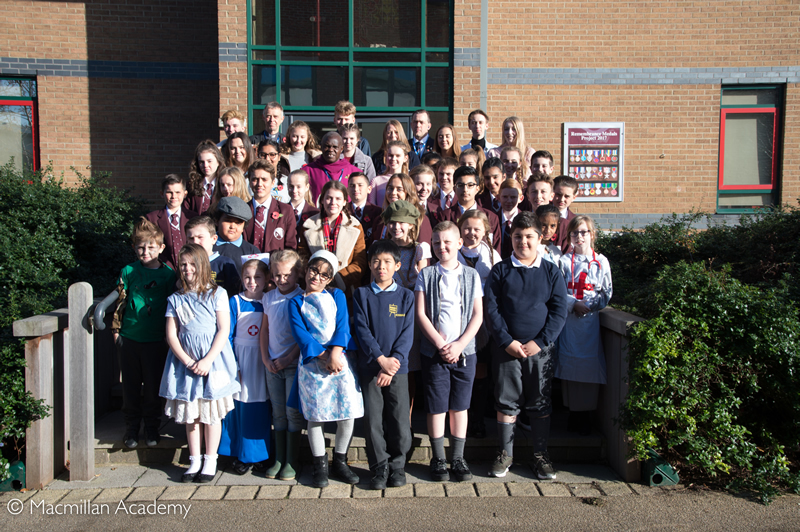 In preparation for the 11th November Macmillan Academy and Archibald Primary School students had been involved in two projects; one which focused on understanding the history behind the awarding of medals and the symbolic significance of them and the other being the preparation of the annual Remembrance Day broadcast which was streamed to every classroom as a way of helping students understand the importance of Remembrance so that the sacrifices are never forgotten. 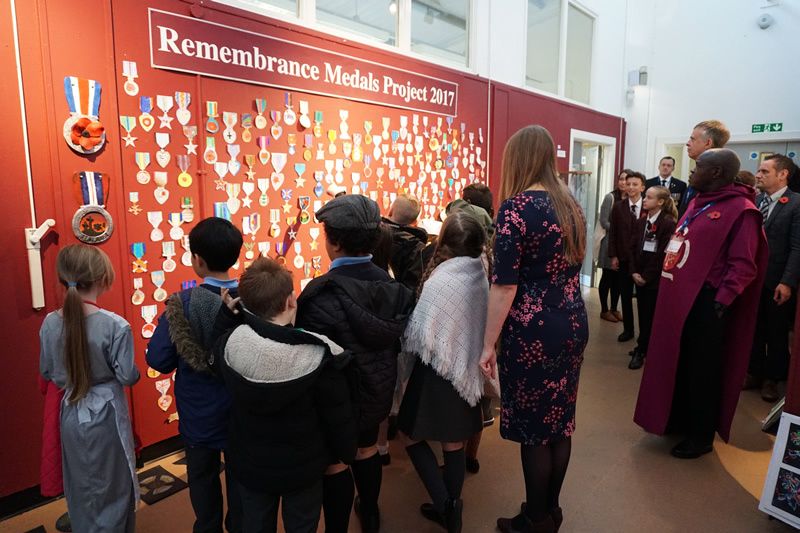 As part of the programme, students had designed commemorative medals inspired by the collection at The Green Howards Museum (Richmond), some of which were awarded to military personal from Middlesbrough. 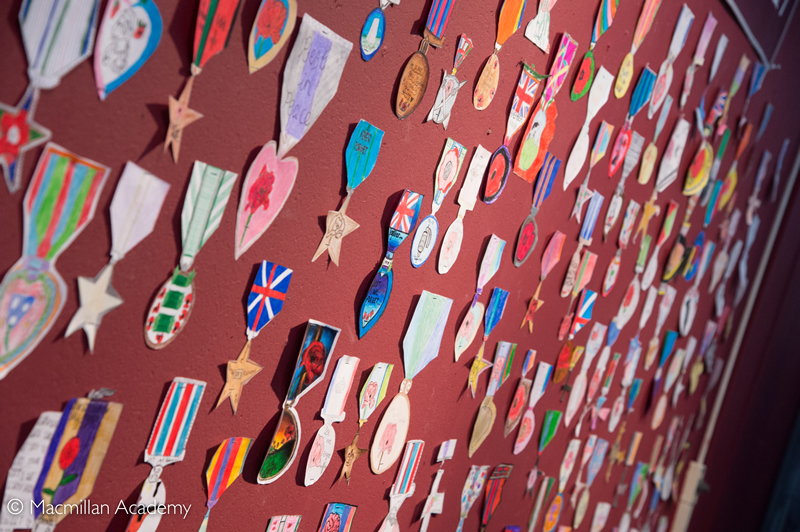 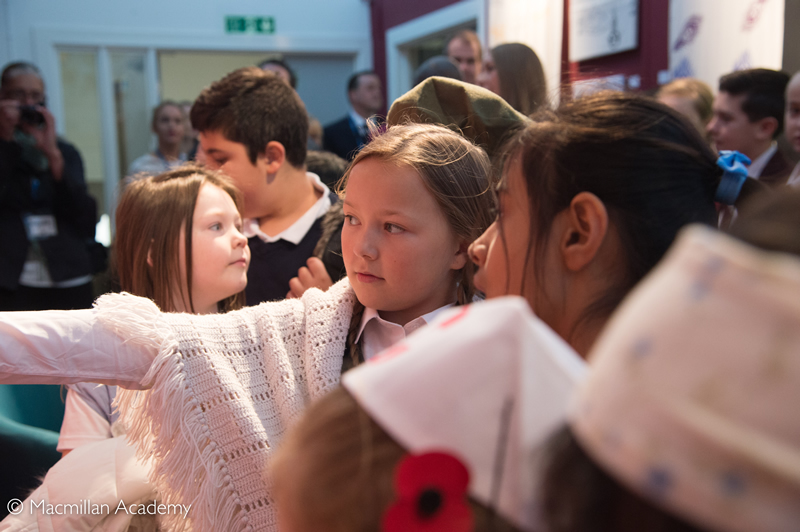 With the support of the museum�s assistant curator Mr Steve Erskine, students generated designs that incorporated the poppy and developed their artistic skills of applying tone and colour blending. 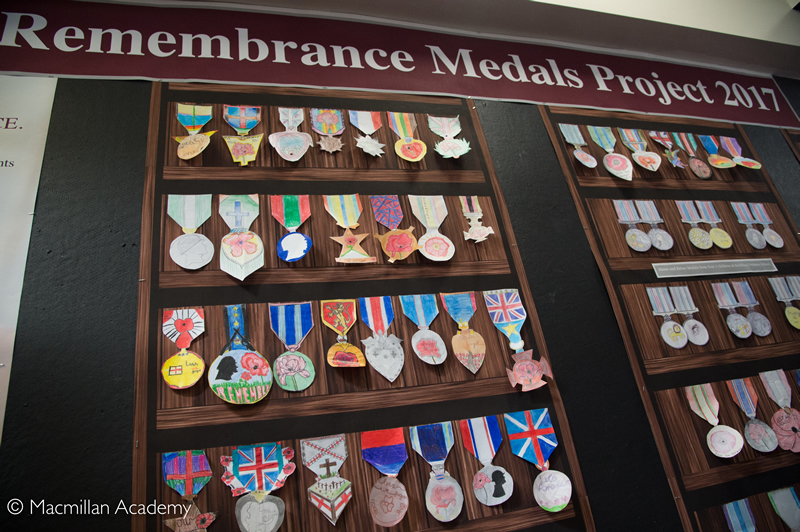 Creating their designs gave students the opportunity to consider the experiences of the fallen as well as remembering their sacrifice. 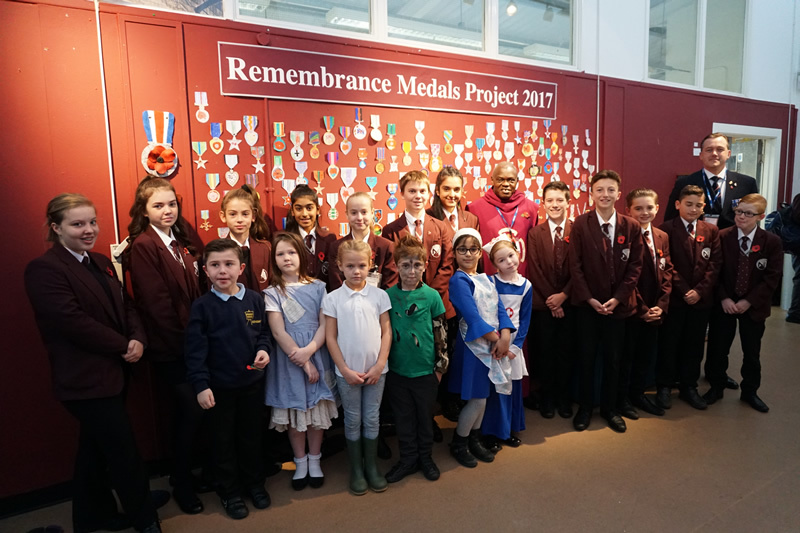 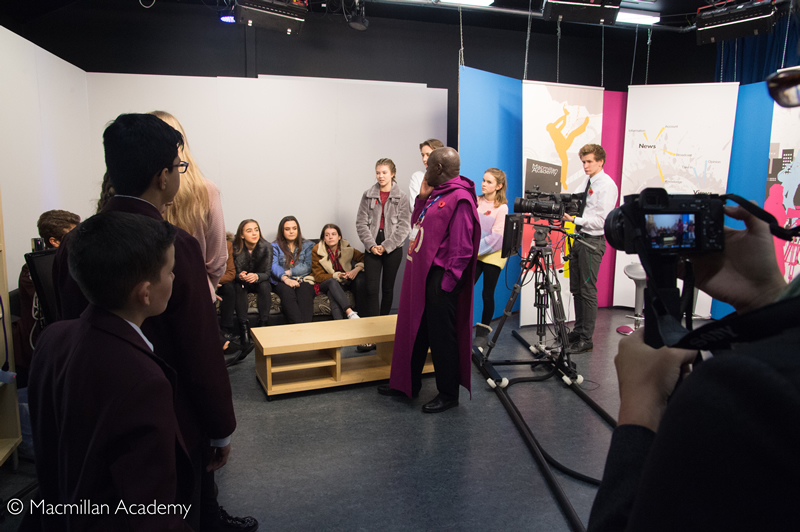 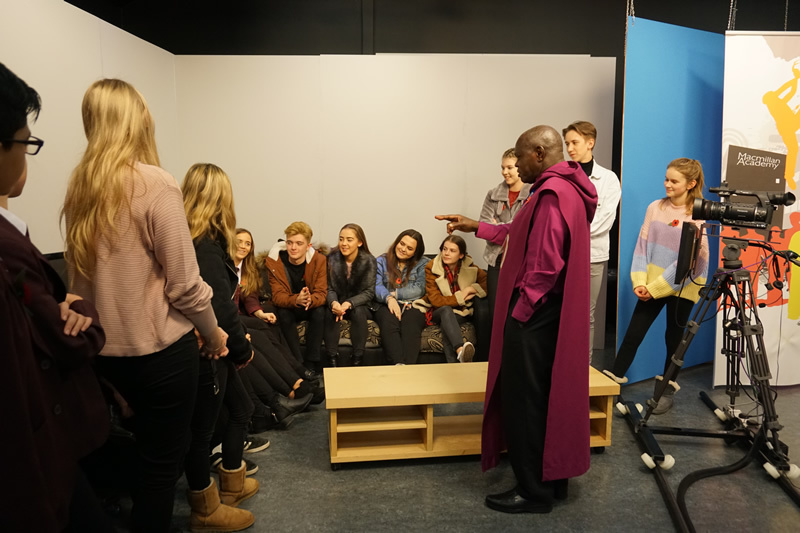 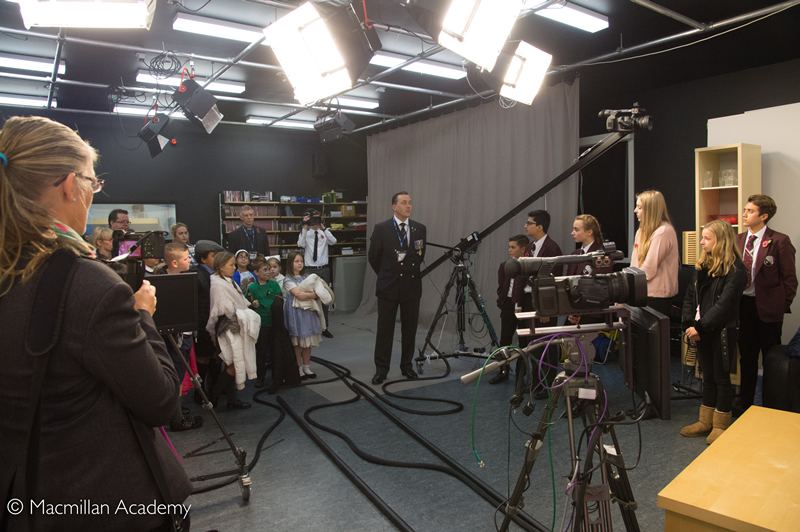 In a second project, students from both schools continued the long-established academy tradition of creating a very special 'Remembrance Broadcast'. 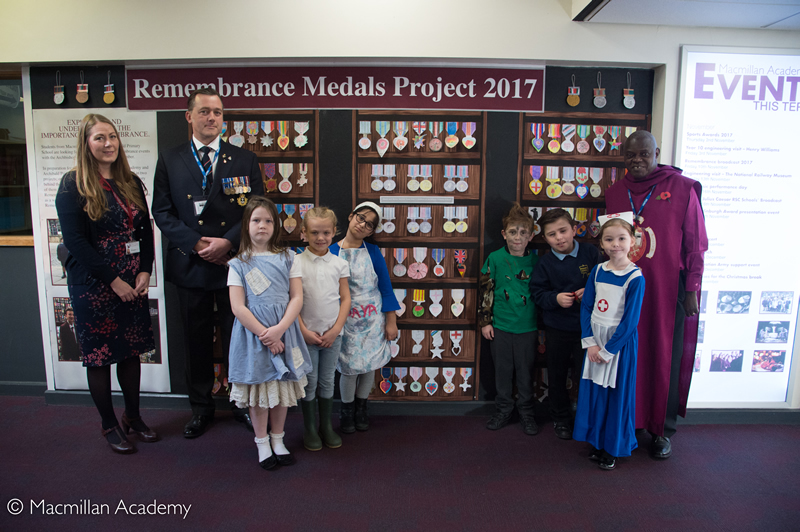 For this, they were grateful for the support of Dr Matthew Kiernan, a former Lieutenant Commander in the Queen Alexandra�s Royal Naval Nursing Service. 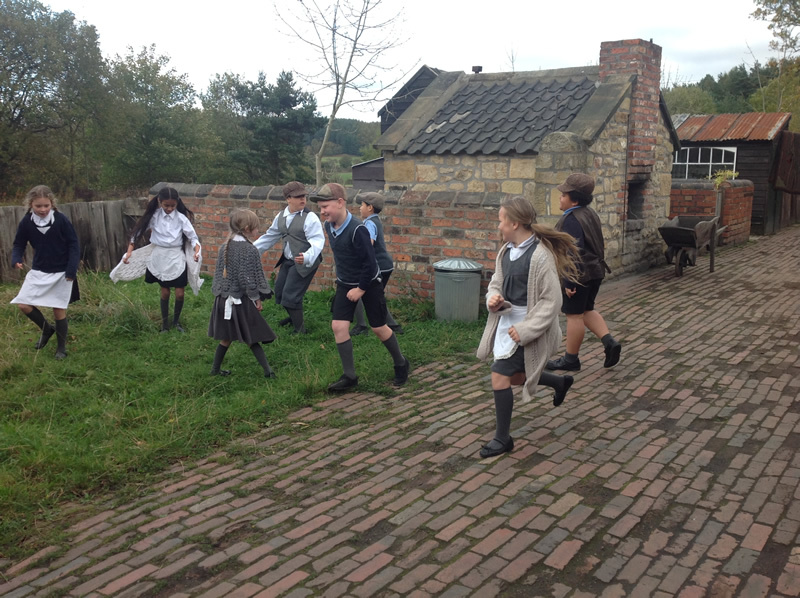 Their broadcast includes an original dramatic recreation of some of the experiences of the Home Front in WW1 and explores in particular the impact of war on children and families. 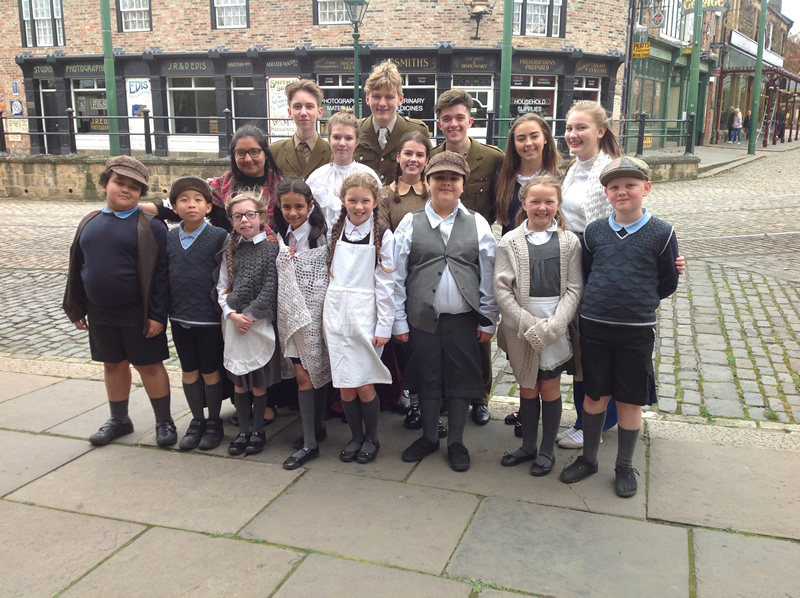 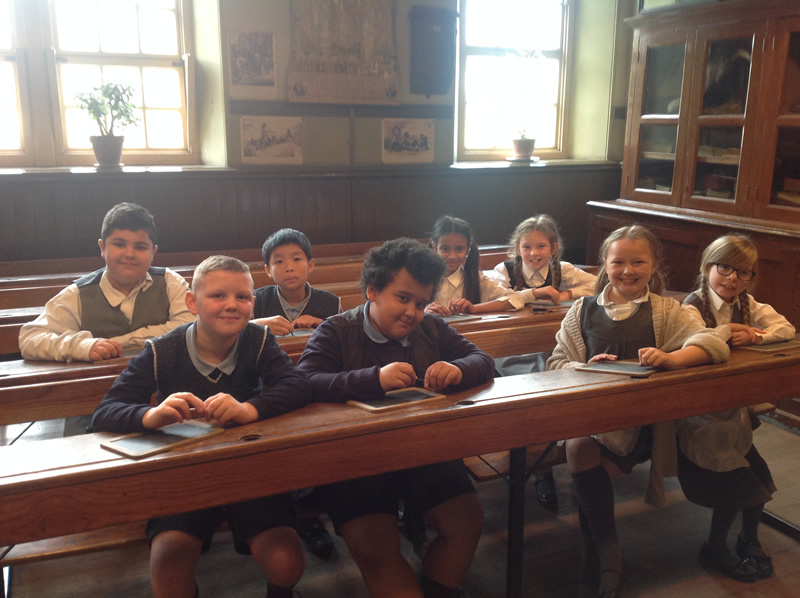 It was filmed at Beamish Museum where Community Learning Co-ordinator, Mr Bill Elliott provided much appreciated support with the children and crew and took on the acting role of a teacher from the first world war period.